Hosting a dinner party can be a great way to show off your cooking skills. But, sometimes, those healthy, low-carb meals you make for yourself aren't very exciting. I mean, who wants to get out the fancy plates for plain chicken breast and broccoli? If you have a healthy dinner party planned, or would like to give it a try, I have your entire evening covered—from appetizer to dessert! So, break out the fine china and share these delicious Italian recipes with your friends and family. All four of these recipes are all-natural and gluten-free. Most of them are also paleo-friendly and low- or nondairy. They'll fit right into anybody's meal plan! These meatballs are a fantastic appetizer for a party, but they can also act as a pasta topper or serve as a recipe for your weekly meal prep. They taste as good as traditional meatballs, without the high-fat nonsense. Low on calories, full of Italian flavor and the tiniest bit of heat, these little guys are certainly a tasty treat! 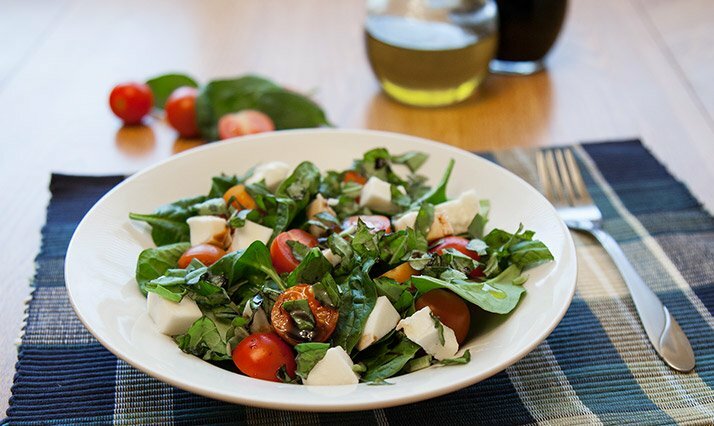 Quick and easy to make, this salad has all the delicious flavor of a traditional caprese side dish with added antioxidant-loaded herbs. It's the perfect complement to any Italian entrée! Make a single serving for yourself, or multiply the recipe to feed an army of guests! If you're counting calories or managing macros the way you do your bank account, traditional lasagna is probably off the usual menu. This recipe, however, is a healthy way to satisfy your lasagna craving at only a fraction of the calories and carbs. Slices of zucchini stand in for the pasta noodles, while turkey and low-fat cheeses offer all the protein you need without the excessive fat. The layers of fibrous veggies will leave you full and satisfied without that usual sluggish feeling that follows traditional lasagna. Oh, and this recipe is also packed with delicious Italian herbs and spices. It makes an amazing entrée for the whole family! This delicious treat can be whipped up in minutes, and it makes for a perfect dessert or sweet little snack. It's low in calories and packed with flavor. You and everyone else around your dining room table will be sure to love this refreshing sorbet! Note: This recipe can be prepared in advance and stored in the freezer for several hours. 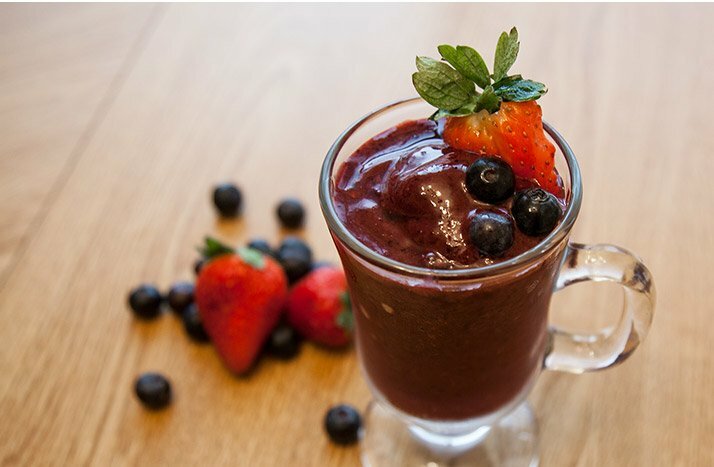 If the sorbet becomes solid, place it in the refrigerator before serving.